This dimmable LED picture light from Firstlight is the perfect way to highlight any artwork on your walls. Available in three different finishes (antique brass, brushed steel, and polished brass) the 4891 features an integrated dimmer switch and the built-in LEDs provide 220 lumens of warm white (3000K) light. The LEDs in these fittings are not replaceable and are supplied with a three year manufacturer's guarantee. The 4892 has a width of 28cm and projects 19cm from the wall. 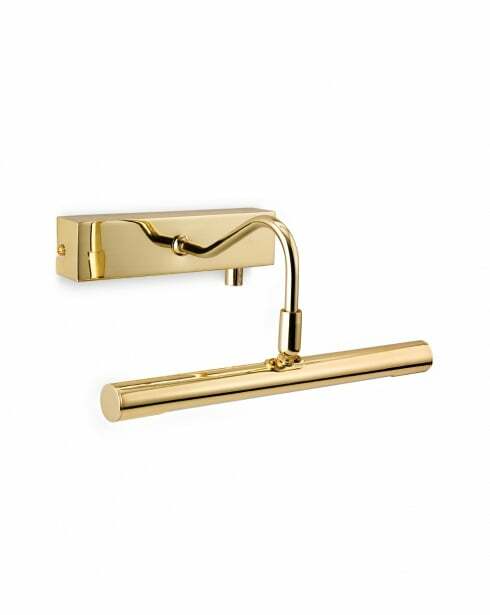 The 4892BR is finished in polished brass.